I’m very late in posting this tour information and am still reading the book, my apologies to the author and I will update when I finish. Wednesday Hodgepodge – The last day of July!!! I think I missed last week so jumping in this week as I needed some inspiration – visit all us bloggers over at From This Side of the Pond. Hmmm….this is a hard one…..because I can remember being able to walk 6 blocks to the candy store with my brothers, to get penny candy – my children can’t do that anymore because I can’t trust they’d make it home. I guess I’d have to say the world has changed for the better because we can access the internet for our studies, which enables us to ‘visit’ places like the Taj Mahal. Like #1, I can’t really let my children be outside by themselves. As long as I’m in the living room and can see all I am okay but honestly I can’t allow my children to even walk toward the end of the block without thinking of all the predators that are in our area. Not to mention there are so many laws affecting the way we parent – during school hours we try to stay inside because we are watched much more closely than when we are out while other children are allowed out. Well I don’t like Starbucks. Won’t get into that though. I’d have to say it’s a tie between Starlight and a starfish – both remind that the Lord gave us beautiful things to look at whether high in the sky or deep down in the ocean. 4. Name a song that’s overplayed, but you love it anyway? When I was a child. Even the ‘homemade’ place’s ice cream isn’t truly homemade anymore 😦 My favorite flavor anything with chocolate and/or peanut butter. Not really sure. Being optimistic helps and can motivate some but I’ve also met people who get more depressed and unhappy but others optimism and try to bring those people down like them. It’s probably been about 11 or 12 years ago – but it was only briefly and any storms we’ve had recently we haven’t lost power in our area, thankfully. One thing I’ve learned is that we need to listen to each other – someone may know something or have more information and if you don’t listen you may miss out on important information and continue passing along bad information to others. On the flip side, even if you think you have all the answers you still need to listen because someone may have another valid point of view. 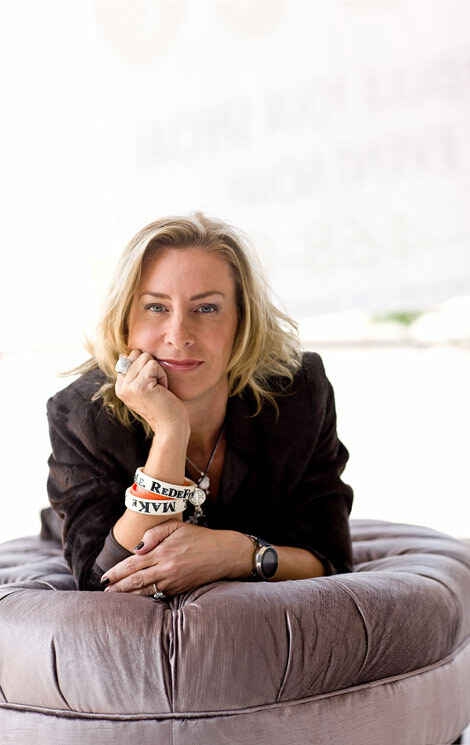 Texas native Jamie C. Amelio is the founder and CEO of Caring for Cambodia. While vacationing in Cambodia in 2003, she expected to be wowed by the temples of Angkor Wat. Instead it was a little girl panhandling for a few dollars who would change her life. A few weeks later Jamie established Caring for Cambodia, which now supports 6,400 students in sixteen schools in Siem Reap. IN 2005, 2010 and 2012 Jamie was awarded the prestigious Golden Hand Service Award by the Cambodian government. After living in Asia for ten years, Jamie, her husband Bill, and their six children now live in Austin, TX. It all began with a dollar. When Srelin, an eight-year old Cambodian girl approached Jamie Amelio and asked for a dollar so she could afford to go to school, Amelio was skeptical. Was this just another beggar’s ruse? Amelio was visiting Cambodia for the first time, and was shocked at the filth and abject poverty. Entire villages lacked plumbing and electricity. Mothers on the streets pleaded with her to take their babies so they might have a chance at a good life. And this child wanted a dollar for school? A doubtful Amelio nevertheless told Srelin that if she would take her to visit the school, she would give her the dollar. 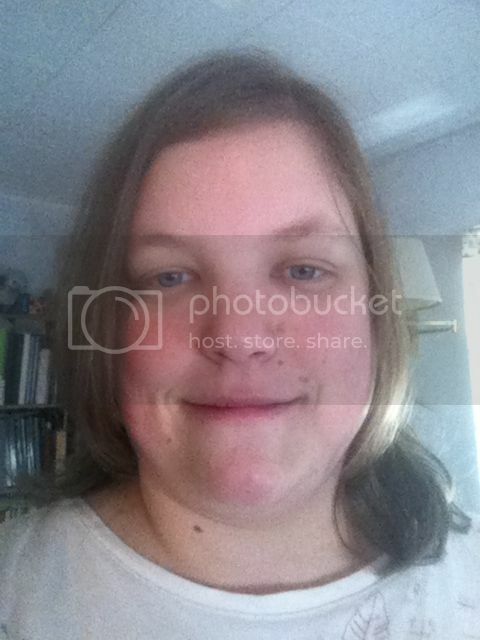 What Amelio found at the school changed her life. In Graced with Orange, you’ll read the story of how Amelio discovered 75 hungry, impoverished Cambodian children crowded into a single room with bars on the windows, waiting patiently for a teacher who never showed up. The students shared a pencil they had broken into small pieces, and had few other school supplies. And this was a school that students had to pay to attend! The situation was less surprising when Amelio learned that Cambodia was still reeling from the murder of 2 million people by the Khmer Rouge (The movie, The Killing Fields was based on this) a few decades ago – including anyone who was educated – All teachers, and even anyone with glasses, were ruthlessly disposed of. Amelio invested herself into making lasting change in a country that cried out for it. She vowed to make a difference and she did. She established “Caring for Cambodia”, that in the next 10 years built 16 life-changing schools, and the opportunity for young people to learn in a safe, nurturing environment with motivated teachers. “I knew that God had put me in this position,” she says. Naturally, Virginia was with me in January of 2003 when I stepped off the plane in Siem Reap for the first time, the day that would change my life. As the airplane door banged open, Virginia, Amanda, and I felt the same blast of furnace-like air. When someone asks you what Cambodia is like, if you’re honest, the first thing that comes to mind is, “Cambodia is hot.” Jungle hot. If you start traveling to Cambodia frequently you are bound to hear the joke that everyone seems to tell: Cambodia has three seasons—hot, really hot, and really hot and wet. Maybe so, but as a Texas girl I wasn’t afraid of the heat or the rain. Having visited other Asian countries, I was also prepared for the chaos of traffic jams, honking horns, and swarms of children asking for, and sometimes demanding, money. When you become an expatriate living in Singapore your new friends tell you to take the opportunity to explore neighboring countries like Thailand, Vietnam, Cambodia, and Hong Kong, all a few hours or fewer away by air. Map of Singapore in Asia. During our first year in Singapore Bill and I traveled to a number of different countries, including China when Bill had business there, plus Thailand, Indonesia, and Hong Kong either with friends or our children. On one vacation Bill and I took the kids to Ho Chi Minh City, so I had experienced the ferocity and commercialism of a Southeast Asian capital. The children there were a reflection of this aggressiveness, and as soon as we arrived at the airport we were bombarded with swarms of them crying out to me, “Hey lady! Hey lady!” as they begged for money. We did have a fascinating few days in Ho Chi Minh City. We visited museums, saw a water puppet show, and toured the incredible C. Chi tunnels, an immense network of underground tunnels used by the Viet Cong army during the Vietnam War, or “the American War” as the Vietnamese call it. Bridge Across My Sorrows, a memoir chronicling her horrific childhood in the slums of Dublin and how she had moved to Vietnam and devoted her life to the bui doi, the street children there. Her book was no doubt one of the inspirations that made me on the lookout for some way to make a positive difference in one of these very poor countries in Southeast Asia, located just a few hours from where I was now living. I wanted to help, but as Bill and I visited one of the orphanages Ms. Noble had established, I immediately saw I would have to get involved in something very different. Looking at the conditions in which children were living left me dumfounded. We saw horribly deformed young people. Many children, some in diapers, seemed unable to even get out of bed. My most haunting memory is of the silence. We never heard the sounds of children playing or even crying. I greatly admired the people working there, but I left feeling devastated by the experience. I didn’t think I was strong enough to work in that kind of environment. But right away Siem Reap seemed different. The airport had an unexpected calm. It would be modernized a few years later, but at the time it resembled a Pony Express outpost more than it did the second largest airport in a country of fifteen million people. As Virginia, Amanda, and I deplaned and walked across the runway we saw green vegetation that seemed to go on forever and tall palm trees and grass huts in the distance. It was as if we were walking around someone’s remote backyard. As we were driven to our hotel, the city seemed to be moving at a slower pace. The streets were certainly crowded, but with motorbikes and bicycles rather than the constant hum of automobiles and twenty-first century neon and without the high-octane energy I had expected. We sped past villages with barefoot children playing in the mud, not an electric pole in sight. Somehow the large buildings and modern activity in the other Southeast Asian countries I had visited had managed to mask the impoverishment, at least for the tourist. In Siem Reap, it was all in your face. I felt like I had been dropped down the rabbit hole, except it was a familiar one, like a vaguely scary dream but one I didn’t fear because I’d had it before and I knew it came out okay on the other side. Instantly I felt comfortable in Siem Reap. My connection to the place went beyond just an empathy for people living in poverty. Even before we arrived at the hotel, well before we visited the temples, something struck a nerve in me. It’s difficult to explain. Some people fall in love at first sight with Paris or New York; others feel a special affinity for the big sky of the American West or even the small towns of Texas where I grew up. Almost immediately I had the powerful feeling that Cambodia was a place that was going to become an important part of my life. Maybe it was the way people greeted us, with a slight bow as they put their hands together up to their chins in a prayer-like motion. It was a salutation I would soon adopt. Or perhaps it was the simplicity of their lives and the feeling that it wouldn’t take much to make a genuine and lasting difference here. The Raffles Hotel presented a wake-up of a different sort. Today Siem Reap has dozens of quality hotels, but at the time Raffles was the only one of its kind. It is still an oasis of beauty, one of the most elegant hotels I’ve ever stayed in. The employees wear stiffly starched white uniforms with traditional hats and matching knee socks and offer a cold washcloth and a soft “Welcome home” as you walk through the door. The experience, walking out of poverty and into luxury, is surreal and more than a little disconcerting. The next morning Samedi, the guide we had hired, picked up Virginia, Amanda, and me in his beat-up Toyota to visit the temple of Angkor Wat, the most famous of the temples of Angkor. On the way we passed King Jayaraman Hospital, named for the Khmer emperor who in the twelfth century built his capital city less than a mile from the entrance to the temple. Outside the hospital a long snaking line of people waited to enter. There must have been several hundred tired, sick-looking men, women, and children waiting in line or on the street corner hoping to see a doctor. Many were parents holding ailing babies or toddlers; others were sick children holding even sicker younger siblings. I started grilling Samedi, who explained that families travel on foot, by bicycle, and on the backs of trucks from their villages many hours away to see the only doctor for a hundred miles. With the exception of the cities of Siem Reap and Phnom Penh, modern healthcare in Cambodia is almost nonexistent, which helps explain why dengue fever and malaria continue to be major health problems. Healthcare is not free in Cambodia. With an average income of $1,800 per year, many families must fend for themselves, often using ancient remedies of dubious efficacy, like squeezing someone’s ankle if you think he’s having a heart attack, or rubbing heated bottle tops or coins on the skin to “get the sickness out.” It took me years to ask what caused the round marks on people’s foreheads. I have also seen medicine men mix up a “cure your cancer” cocktail made of wood chips, herbs, and magic. After just a few hours I could see that Cambodia was a country of paradoxes. Something beautiful like the fountains in the Raffles hotel existed just down the road from an entire village lacking plumbing or electricity. Temples built in the twelfth century, truly a wonder of the world, sat next to a hospital full of dying children who would not see a doctor until it was too late. The manmade magnificence of the ancient temples were in stark contrast to the manmade destitution in people’s daily lives; the gentle, soft-spoken people I met during my first 48 hours there lived with the memory of a genocide the rest of the world had all but forgotten. Even the restaurants demonstrated the yin/yang of the small city. You might enter a dining place with an attractive, modern façade, but a glance next door would reveal dogs and birds rummaging through the restaurant’s burning garbage. Attempts at progress were butting up against years of extreme poverty and political upheaval, preventing people from making real progress. Only later did I come to understand that Cambodian culture had recently been rebooted. Everywhere, in the eyes of the people and in their halting attempts to improve their lot, were remembrances of the recent past and the genocide they had endured. During my first days in Siem Reap I only had a cursory knowledge of what the Khmer Rouge had done to this beautiful country. I immediately started reading all I could about it, and what I learned was horrifying. more than ten times that of the United States and almost six times that of neighboring Vietnam. If a U.S. tourist becomes ill during a vacation to Cambodia, the CDC (Centers for Disease Control) recommends airlifting the patient to Bangkok rather than gambling with a Cambodian hospital or doctor. It wasn’t just modern medicine that the Khmer Rouge leadership considered subversive, antithetical to their rural, “pure” form of communism. In 1976, a year after taking power, the Khmer Rouge, formally the Communist Party of Kampuchea (CPK), abolished the Cambodian currency, the courts, newspapers, the postal system, and telephone communication—in short, the very concept of urban life. Phnom Phen, a city of three million, was emptied, the people forced to work in the countryside or worse, never heard from again. The “revolution” led by Pol Pot wasn’t just an attempt to eliminate disparities in income, monopolize the media, or limit personal freedoms. Individual thought, initiative, and creativity were also condemned. Anyone who was educated, particularly teachers, were targeted. People were shot simply because they wore glasses. Virginia, Amanda, and I weren’t thinking about any of this as we entered the grounds of Angkor Wat, surely one of the wonders of the ancient world. The temple was built during the Khmer Empire between the ninth and thirteenth centuries when Cambodian kings ruled a Southeast Asian empire that stretched from Malaysia to Laos, from Vietnam to Burma. rock cliffs give reverence to both Hindu and Buddhist deities and emperors, and numerology is interwoven throughout. In Hinduism, the God-like Devas are continually at war with the power-seeking deities called Asuras. The bridge that leads to Angkor Thom, which is part of Angkor Wat, is lined with 54 rivaling Devas and a corresponding 54 Asura statues. Together they add up to 108, a powerful number in Khmer mythology that is linked to the degrees of movement of the sun and moon. Approaching the temple on foot makes you feel as if you are in a Tolkien land with ancient trees growing in and over the roads and buildings. The jungle heat prints the landscape green and emits a fresh smell of life regenerating. The rhythm and beauty of my first day in Cambodia were almost overpowering. Seven Amelios at the Angkor Wat South Gate entrance; a tuk-tuk is on the left. At one point we were walking around the side of the temples and we could see in the distance four or five Buddhist monks in bright orange robes heading toward a nearby monastery. Just then a little girl of eight or nine came up to us. Throughout the day children had been asking us to buy all sorts of items. Each child seemed to have a specialty. Some sold silk scarves, others postcards and maps, still others books describing local tourist sites. At the time I was surprised at her ability to speak English, but I soon learned that most of the children who work near the temples learn to speak at least a little English so they can converse with the tourists. “Could I have a dollar?” this sweet small voice asked. Rather than just give her the money, I asked for her name and what she would do with the dollar. I wanted to understand what was going on in her country. That I didn’t know very much about Cambodia was beginning to dawn on me. It was poor; I could certainly see that after half a day. It had been part of the Vietnam War somehow, I remembered that. And the country had suffered through a genocide of its own making less than thirty years earlier. But what had happened since then, I hadn’t a clue. The girl told me her name was Srelin and that she wanted the dollar to pay for school. “What a clever answer,” I thought suspiciously, imagining a street person in a U.S. city standing outside a liquor store asking for money, supposedly for food. Still, something about the girl’s youth and her matter-of-factness captivated me. “Why do you have to pay to go to school?” I asked her. “We all have to pay to go to school in Cambodia,” was the response. I found myself telling Srelin that if she showed me her school I would give her the dollar. I fully expected her to tell me I wasn’t allowed at the school, or to offer some other excuse. Instead she said that school wasn’t in session since it was lunchtime, but that I could visit later that afternoon. Then, very businesslike, we shook hands. On our way back from Angkor Wat I began pummeling our guide with more questions. Up until that point Samedi had been playing the good tour guide, telling us about the likes of King Jayaraman and the history of the various Hindu and Buddhist temples we would be visiting. Now I began asking him why his country was so poor, why children had to pay to go to school, and why Srelin’s parents weren’t working. “Tourism,” “No,” and “No,” I gradually gleaned were the answers to those three questions. A child under the age of ten serving as the family’s breadwinner was not unusual, Samedi told me, and most homes did not have electricity. More than once since then I have seen people use a car battery to fire up a television set. On many nights that is the only light you see in a village. “But what happened to this country?” I demanded. Vietnam and Thailand had developed into tiger economies. Why had Cambodia lagged seriously behind, with the lowest GDP in Asia? Poor Samedi. He couldn’t answer most of my questions, but he did talk about the infamous Killing Fields of Cambodia and what had happened to his country during the past thirty years. “Almost everyone has a family member who was killed,” he told me. And everyone had a story, I was soon to learn. It was years before Samedi opened up and told me his. Eventually I learned that he was born in 1964, so he was eleven years old when the Khmer Rouge took power. Like millions of other peasants, he was marched out of his village and into forced labor in the countryside. Seven days a week he worked in the fields, from daybreak until ten at night, farming, herding cows, and building dikes. Virtually no one went to school. His was a story that was repeated a million times. All his family’s belongings had to be handed over to the Khmer Rouge, the ruling Cambodian party which became everyone’s mother, father, and big brother. If you were caught hiding jewelry you could be killed. If you tried to escape, you were killed. In 1980 Samedi was reunited with his mother and other surviving family members, but his father, he learned, had been executed. Two of his siblings had also died. Samedi was then conscripted into the Vietnamese army and later saved himself by becoming a monk before leaving the monastery to make his way as a tour guide. After lunch Samedi drove Virginia, Amanda, and me to Srelin’s school in the small village of Kravaan. A large, rusty wrought iron fence with yellow columns buttressing a swinging metal gate led to a complex of three buildings, one of which was a small, low-roofed, shack-like structure. Somehow Srelin knew I had arrived because out the door she came running up to us, exclaiming, “Oh, you’re here! You’re here!” like I was a favorite aunt she hadn’t seen in months. I asked Srelin to show us her classroom, so she walked us back into the building, which up close we could see wasn’t much more than four walls and a ceiling. She opened the door to reveal what must have been seventy- five children of all ages crammed into a small room. They were sitting on benches under narrow tables, three to five kids to a table. The school was so crowded that children were literally sitting on top of one another. Every time a child stood the dust from the dirt floor billowed upwards. I had to force myself to stop thinking about the Peanuts character Pigpen, trailed by a cloud of dirt wherever he went. Thousands of dust particles sparkled in the rays of sun that shone through the windows, unobstructed except for thick steel bars. I was told the bars were to prevent break-ins, although what someone might want to steal I couldn’t imagine. Even with the bars the building didn’t seem particularly secure. I wondered how children could learn in this jail-like setting and marveled at the irony that they had to pay for it. The moment I walked into the room the children went completely silent, with all eyes on the three foreigners. I said hello and they bowed their heads, offering polite “Hellos” in return. Looking around further, I realized there wasn’t a teacher in front of the class. “Where’s the teacher?” I asked Srelin. Remarkably, without supervision, the children just sat there, talking quietly, waiting for their teacher to arrive. Srelin explained that they would stay there all day because that’s what they had been told to do. “Do you have any kind of workbooks to read or lesson plans to follow while the teacher is absent?” I asked Srelin. She looked at me blankly, but the fact that she didn’t understand the question gave me my answer. The teacher never did show up that day. 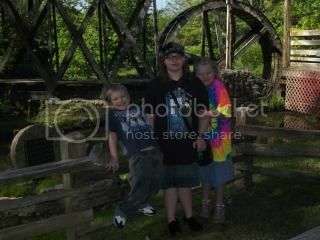 Virginia, Amanda, and I stayed a few hours, walking the grounds with the school principal. With Samedi as translator, I asked how I could help. “What do you need the most?” I asked. “Paper and pencils,” the principal told me. I kept asking him questions, and in return I received my first introduction to the Cambodian public education system. It wasn’t the last time I would learn that the bureaucracy was sorely inefficient and often corrupt. Teachers, I learned, were supposed to receive a salary from the Cambodian government. Sometimes they did, often they did not, and even when they did it only amounted to about $25 a month. That was not a livable wage, even in a country as poor as Cambodia, so the teachers asked the children to supplement their incomes. By the time we returned to our hotel something in me had changed. My heart and head had been turned topsy-turvy in a single day. I couldn’t sleep that night. Perhaps I was naïve, but I couldn’t get my mind around the idea that I lived two hours away in a country with everything I could possibly need while a mere two hours away children were trying to learn in an environment like the one I had just seen. This was simply not okay with me. People could do better. People like me could do better. The next day after breakfast Virginia, Amanda, and I visited another top tourist sight, Ta Prohm, the temple made famous by Angelina Jolie’s film, Lara Croft: Tomb Raider. a Dali-like quality. Man conquered nature in its construction and now nature is reclaiming her temple. Just before arriving at Ta Prohm, with Samedi still our guide, we stopped at a small outdoor market. Young girls were selling cold drinks and souvenirs out of a series of stalls protected from the sun by makeshift roofs and awnings stuffed with straw, leaves, and mud. Suddenly we were surrounded by a swarm of girls maybe twelve or thirteen years old. I bought a few souvenirs from them, but after my experience of the day before I had more questions. Like Srelin, these young girls attended school most days and sold trinkets at Ta Prohm to pay for it. I took a photograph of the girls and wrote down their names so I wouldn’t forget. We sat sipping water, talking for hours, and they told me a little about how they lived and pointed out their houses in a village without electricity. I asked about the sugar canes they were cleaning, and one of the girls pointed to a field full of them. All the girls chewed constantly on the cane, which explained their bad teeth. Perhaps it was the water, but that night at Raffles both Virginia and I were so sick we had a doctor come and give us shots. The next morning, fighting through the nausea, I managed to meet with Samedi in the hotel lobby. I was obsessed with doing something to help, and I decided to give him $300 in cash, telling him I wanted to start helping the children of Cambodia by sponsoring the schooling of five girls—Srelin and a friend of hers I had met at her school plus the three girls I had sat with across from Ta Prohm. But I assured him I’d be back. I was adamant about giving this money to the girls and letting them know I’d be returning soon. I know this sounds crazy as I barely knew Samedi, but a bigger plan was beginning to formulate in my mind. I wanted to establish that if I said I was going to do something I would follow through and do it. If I were truly going to do something in Cambodia I needed to create trust. I had promised each of these five girls the day I met them that I would help them, and I was going to start by making it possible for Srelin and the others to go to school for the next few months without having to pay for it. In the meantime, I was going to figure out a more permanent way to get involved. That afternoon Virginia, Amanda, and I flew to Phnom Penh, Cambodia’s capital. We still didn’t feel well, and after we landed Virginia threw up on our way to the hotel, right in front of the Royal Palace. I wondered if this was some kind of omen. As time has shown, the answer was a resounding no. When I grabbed Graced with Orange I wasn’t sure what to expect – I knew what the book was about but I don’t didn’t really know much about Cambodia or Singapore. I’ll say I did think this would have had more of a Christian worldview but it didn’t, there were mentions of a “higher power” and “serendipity” or just “luck” but God wasn’t a part of the big picture. That might actually prove to be a good thing though so that those who aren’t Christians can find themselves wanting to help with the organization, Caring for Cambodia. As I read it I can definitely identify the God moments that occurred through out the book and those that are going to continue – keep in mind though that Cambodia is very much steeped in Buddhism. 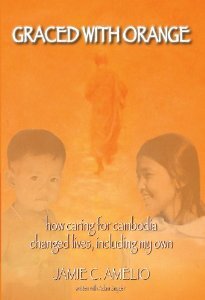 After finishing the book, which I read in one day, yes one day, I sought out the Caring for Cambodia site and Facebook page to see what I and my children can do to help out with the Caring for Cambodia mission. Thousands of students rely on the help of those who have been blessed, not only for education but also for dental, health and food. CFC has developed several programs that give children food at school in the mornings and afternoons as well as feeding siblings who are not school age – and who would starve otherwise. The program of CFC and their projects are aiming for long term changes through education – not just math, writing and reading but also through education that you cannot use the bathroom, bath and drink all in the same river if you want to stay well. I don’t want to say that I thoroughly enjoyed this book because it’s not a book one should enjoy – this book is hard hitting – imagine being a mom who feels she has no other choice but to sell her younger daughter into prostitution? Or being a mom who cannot get medication for her child because she must wait hours in line to even get into the hospital, so she must watch her child die? This book is one that will change your heart, if you let it, it won’t let you sit back and enjoy your comfortable life – and like me, you may even be thinking “how can I help?”. From Cynthia Ulrich Tobias’ site. About the Book: Many parents suspect their strong-willed child is deliberately trying to drive them crazy. Difficult to discipline and seemingly impossible to motivate, these children present unique, exhausting, and often-frustrating challenges to the those who love them. · better understand how their minds really work. · discover positive ways to motivate your strong-willed child. 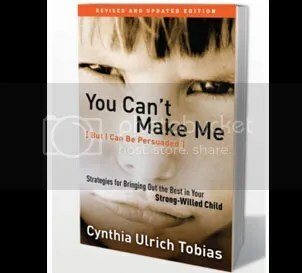 · learn how to share control without compromising parental authority. · apply key tactics to survive a meltdown. 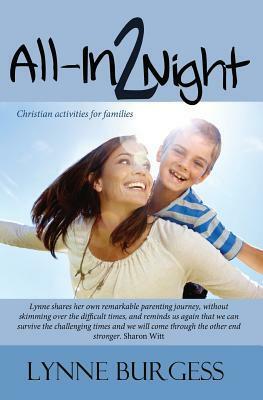 · get practical tips for parents who disagree, blended families, and single parents. You can purchase a copy at Waterbrook Multnomah. When I was trying to decide which book to chose through Blogging For Books I saw You Can’t Make Me and it just jumped out at me – I think it was totally a God thing. God has blessed us with two, if not three strong willed children (SWC) and lately I’ve been trying to figure out how to best parent them because our current forms of guidance aren’t working – whether it’s spanking, yelling, losing privileges or time out, it’s not working. I have to say that I don’t think this book is just for parents of SWC’s – I think it could work for a variety of children – but it’s definitely geared toward SWC’s and their families. I saw me in a lot of these issues and think had my parents been more aware of my strong willed personality and how to work with me instead of against me, there may have been more peace in our house. If you’re not sure if your child, or you, are strong willed Cynthia provides a short, 12 point checklist for you to determine if your child is strong willed. I think one of the best chapters in the book is explaining how the strong willed child’s brain is wired – by understanding this we can more better understand how to deal with our children when they act up or are truly defying us. I learned that SWC aren’t actively trying to defy or disobey their parents and other authorities but it’s how they and we perceive each other. One thing that is hard for me as a mom is to ask questions, I prefer to tell my children “clean your room, or else” but if dealing with a SWC that doesn’t work and will come down to a battle of the wills, pun intended. One thing to do is to ask more questions and put the ball in their court, so instead of demanding the room be cleaned – or else – ask “Son, have you cleaned your room?” Honestly out of all the chapters the only one that I didn’t really relate to was the one about school – however I am going to go back and re-read this because as I’m both mom and teacher to my children and sometimes school is a battle I can use some more ideas. This book was truly worth it, it was a quick read – but I will be going back through it to glean more knowledge from it. Please take a moment and rate my review at Blogging for Books – Thank you. I’m linking up to The Simple Woman’s Daybook. I’m assuming it’s hot and humid with the sun shining but I’ve been keeping the blinds pulled because it keeps the house cooler without overworking the window a/c unit. How tired I am – I’ve been having to get up early this week for my middle daughter’s summer fun class at the local college – she was taking an acting class. That we have a/c it may be only a window unit and I may have to block off the kitchen and my son’s room – but it keeps the main living area quite cool. Should be Trim Healthy Mama or at least low carb/low calorie recipes but this week with trying to stay cool, it’s usually whatever I can throw together without having to go out into the heat to the store as well as keeping the house cool. 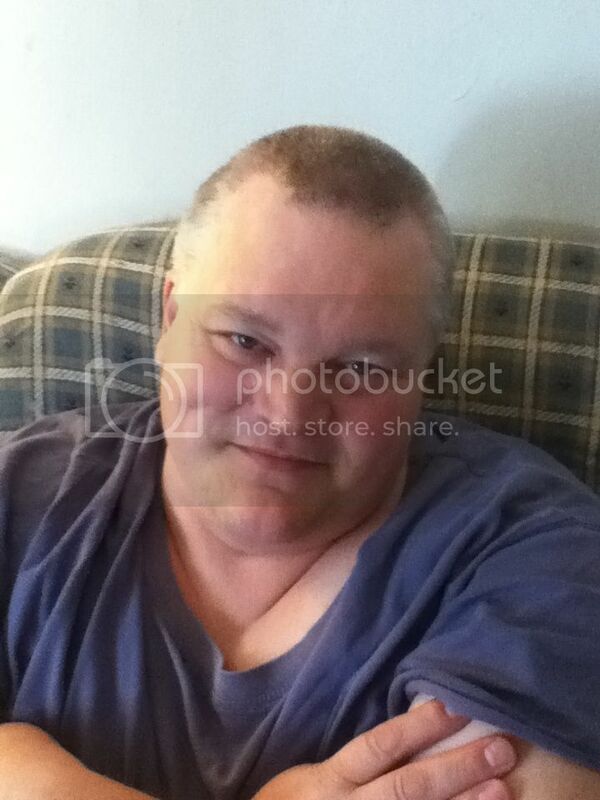 I’m still in my summer night gown – but I’ll be wearing my long denim skirt and a t-shirt with my blue crocs today. Nothing, I really have been itching to make some more cards and do more embroidery but I’ve been so buy in getting the bag log of my review books caught up I just haven’t had the time. if I may be pregnant. 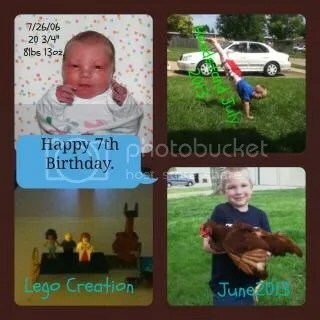 Being able to sleep in tomorrow and my son’s 7th birthday next week. That everything is on the Lord’s timing. I’m going to get ready for us to begin school in full – all our subjects – next week. We school year round and have done some basic stuff but next week I’ll be adding in our art, Spanish, Latin, etc. Also need to have the children clean their rooms and I need to deep clean the kitchen and bathroom. Lots of things – why media needs to stalk a pregnant woman, no matter how famous or royal she is. That’s just the beginning of what I’m pondering. Get school stuff organized, deep clean bathroom and kitchen – or at least one of the two, get some more blog posts and reviews done, spend time with the children. 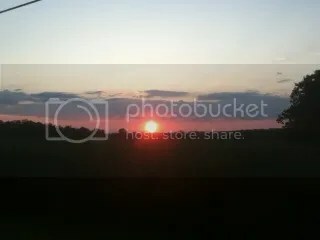 A sunset picture that I captured last week – I used it in a few posts below this one, it was a wonderfully beautiful sunset. I like to find ways to save money when shopping – with being a one income, larger than usual household saving money is a big concept in this house. 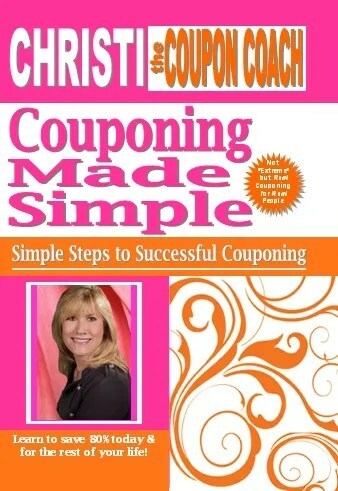 I had the chance to read Couponing Made Simple by Christi the Coupon Coach and it was chock full of information about how to use coupons to help you save money at the grocery and elsewhere. I read through the book, very quickly, in about two hours. The print is larger than normal which helped, especially since I usually forget to wear my glasses when reading, so that helped with the quick reading. Here is what the book is about: Learn to save 80% today and for the rest of your life. Couponing Made Simple can help make sense of the new world of couponing wtih a step-by-step plan. Imagine providing for your family in these tough economic times for pennies on the dollar! This is not “extreme” but real couponing for real people. The sooner you get started couponing, the more you will save. You will wish you had started earlier, but the plan, organization system, tips and tools can jump start you into a new way of shopping. Join Christi the Coupon Coach as she shows you the way to Super Savings! I liked the fact that this wasn’t extreme couponing, because I honestly don’t have time for that – it needs to be easy and uncomplicated. Christi tells you how to organize your system using some simple ‘equipment’ like your computer, printer, accordion coupon folder and a couple other items that are easily obtained. She then walks you step by step through the process of filing, how to cut coupons, organizing and even how to use the coupon system. She gives numerous tips and tricks, networking, ethics of couponing and even finding deals at places like yard sales. I loved all the ideas but since we can’t eat highly processed foods or at least try to severely limit them – we can’t really use much of our local coupons and our favorite store usually doesn’t accept them either. Our local big grocery doesn’t allow stacking which is one thing Christi, which is the way at most of our local stores. So I wasn’t able to save more money by the grocery and/or drug stores but thrift stores are an entirely different story. Since she covers yard sales and thrift stores, those sections came in handy and I could use the tips about yard sales for thrift stores – I love saving money when I have to clothe three children. If you are looking for a way to start couponing, she does cover very briefly on how to coupon if your family does have some special diets like gluten free, then this book will get you started quickly and simply. While I wasn’t able to use it like I wanted to, due to store policies and the coupons for items we don’t/can’t use/eat – there was still quite a bit of information to glean and use to save in other areas besides just grocery items. The book sells for $14.00 for a physical copy or $4.99 for the e-copy. If you’d like to find out what other homeschool parents had to say about this book visit the Schoolhouse Review Crew blog. Eve can’t wait to leave St. Paul, a notorious haven for gangsters. At seventeen, she considers her family to be “good people,” not lawbreakers like so many in her neighborhood. Thrilled to be moving to a “safe haven,” Eve soon forms an unlikely friendship with a strange young man named Link, blissfully unaware that her uncle’s lodge is anything but what it seems. You can purchase a copy at Bethany House. 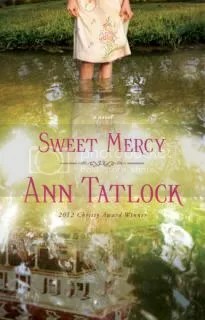 Having never read Ann Tatlock before I wasn’t sure what to expect for her writing, especially since it’s a coming of age novel. That being said I’m glad that I chose this novel to read because it sucked me from the first page – Eve is tired of living around and seeing crime, even seeing a man shot in front of her so moving to Ohio is a dream come true. I think that too, played a part that this book is set in Ohio somewhere between Dayton, Columbus and Cincinnati – I was hoping that there really was a Marryat Ballroom but like other fiction it doesn’t exist. I could feel the frustration that Eve felt when finding out there was an illegal liquor operation across the way – but things get more tangled as the story goes on. Eve believes that only bad people drink and that there is no way a good person would break the law to have a little beer. She meets others who opens her eyes to a way of seeing things that she hasn’t thought about before – but it is liquor that ends up tearing apart her blissful life in Ohio. The story just flowed together and I loved how it began with Eve telling her story to her Grandson when searching for a special box and it was a delightful read. 1. Picture postcards were first printed back in the mid 1800’s and deltiology is the official name for postcard collecting. When did you last send a postcard? Receive one? Do you save postcards sent to you? Do you collect and/or send postcards when you travel? I think the last time I sent a postcard was when I visited British Columbia while on an off day while being in dry dock in Bremerton, Washington while in the Navy. I mailed one to my family as well as myself – I have it somewhere. I received one a few years ago when a friend of mine went on vacation. Yes, I save all postcards and cards sent to me but I don’t usually mail them when traveling. We like to find a great steak house and my husband and I will order the largest, boneless steaks we can get. Towards my husband and children, yes, my hubby has probably seen me cry twice in our 12 years of marriage. I can be real with my friends but I’ve been taught that feelings can be dangerous – although I have gotten better at trying not to hide. 4. Does your town/city/county still deliver phone books to your home? Do you check the yellow pages when searching for a local business number or has the Internet replaced the phone book in your house? Yes, they give us one or two a year and we do use them but since they don’t include menus anymore or coupons usually we go to the internet to find a place or menu, depending on what we’re in search for. Totally depends on the situation – I’d rather be last if anyone ever got me to jump out of the plane, if their chute doesn’t open I’m not jumping but I’d rather be first in places like public bathrooms because I have no idea who used it before me. 6. July is National Park and Recreation Month (in America, but everyone can still play along)…where and when were you last in a park? Did you participate in any recreational activities while you were there? I was last in one in April, when I did my first 5K. So I guess you could say I also did recreational activities. In the summer because of the heat we stay inside mostly opting to go to the parks in the fall when it’s cooler and not busy. Oh, no wait – we did visit Cade’s Cove in TN on vacation but it was mainly us driving through and looking at the historic buildings since it was storming. I think it was doing a 5K, especially my first, the day before we left for vacation. Even though I had been training to walk the 3.1 miles I was stiff and sore the next morning and 6+ hours in a van isn’t a good thing and having done that 5K also had us miss out on getting our rental. Although in my defense the rental company said they’d be open till 5p.m. and they weren’t, only open till noon! Our van made it and we did save a little bit of money and got 4 new tires on our van so it could survive. I enjoy the book Les Miserables, has anyone else read it? Anyway one of my favorite songs is I Dreamed a Dream and I just checked out the Susan Boyle CD from the library and it was a wonderful rendition of the song. I’m posting both the Susan Boyle one and the Ruthie Henshall from the Royal Albert Hall production. About the Book: Sometimes life feels a lot like a burden—day-in and day-out its the same chores and tasks, challenges and discouragements, anxieties and responsibilities. Dust bunnies show up on the stairwell, social commitments clutter the calendar, and our families demand daily attention and care. At times, just catching our breath seems like an impossible feat. You can purchase the book at Crossway. About Gloria Furman: Gloria Furman is a wife, mother of three young children, doula, and blogger. In 2008 her family moved to the Middle East to plant Redeemer Church of Dubai where her husband, Dave, serves as the pastor. 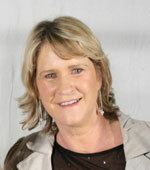 She is the author of Glimpses of Grace and blogs regularly at The Gospel Coalition and Domestic Kingdom. Are you like me, wondering where the Lord is in the midst of your mundane? Homeschooling the children, laundry, changing the diapers, nursing in the dead of the night? Does He care? Is He there? 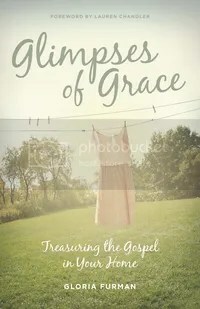 Well join me in reading Gloria Furman’s, Glimpses of Grace, I’ve done a ton of highlighting in it and I know I have loads more to do. She quotes Paul Tripp and I loved this quote, it spoke to me as I began reading, “If God doesn’t rule your mundane, then He doesn’t rule you. Because that’s where you live.” Being a mom, being a homemaker, a wife, can be, well, mundane – some days really mundane if you have a sick child and are constantly changing and washing clothes and sheets or are reading Pat the Bunny for the umpteenth time. So where is God? Where is the Gospel? The Gospel is going to be clearly defined in this book, because, if you ask different people chances are they will each have a different answer for what the Gospel is. This book is woven with Scripture and that will allow you to see for yourself that Gloria is writing from a Biblical worldview as she strives to get homemakers, career woman, even single girls who are at home helping with their siblings to see that God does care, He is there and no matter how mundane we think things are, we are doing it for His Glory. Visit the Crossway Blog and find out more about their books.